A man felt the justice system had let him down so he unleashed his own justice. 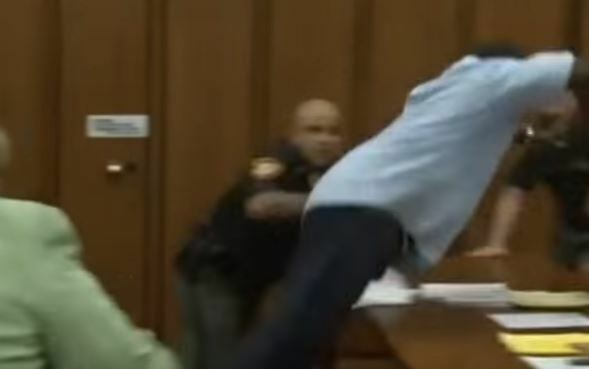 At the sentencing of the serial killer who murdered his daughter, Van Terry leapt across the defendant’s table after addressing the court, looking to land a blow on convicted killer Michael Madison. This dad was so set on landing justice with a swift fist, it took multiple guards to restrain him. It was all captured on camera by CourtChatter Live. Madison was sentenced to death for the murder Terry’s daughter and two other women. Van Terry is the hero we all deserve.